Ok, so I know that a “dead hang” doesn’t sound like the most riveting exercise out there. And if I’m honest, it’s probably not. However, there are many benefits of this exercise, and its rewards way outweigh its risks. In this article, I’m going to be covering everything to do with this hanging exercise. From what it is, how to do it, the benefits of it, variations of it, and frequently asked questions – you will find it in this article. What is A Dead Hang? What muscles does a dead hang strengthen? 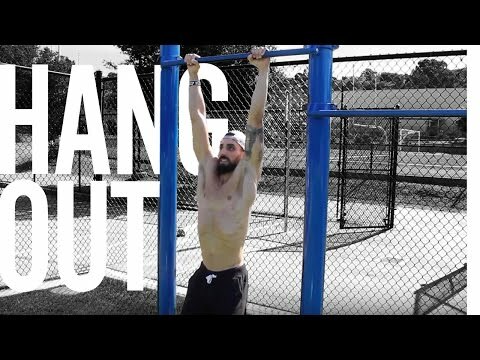 Do dead hangs help pull ups? How can I improve my dead hang? What is a good dead hang time to aim for? Are dead hangs good for your back? What is this hanging business all about I hear you ask? The dead hang is an exercise that requires you to simply hang from an overhead/pull up bar like a dead weight. No repetitions, no pushes or pulls, just a plain, old, simple hang. As with most exercises, there are variations to make it easier or more challenging. I will go over these later. But the standard dead hang requires you only to hold the hanging position over a set amount of time. Its simplicity does not mean it is only for beginners. There are benefits to be had by everyone, at all fitness levels, from doing this exercise. Read on to find out what they are! Most of the activities and movements involved in our modern-day lifestyles compress our spine. Extended periods of sitting, for one! But also, things like carrying heavy objects, squatting, and even sleeping can compress the spine. Hanging in the dead hang position for even a few seconds at a time is effective in decompressing the spine, i.e. replacing space that has been lost between your bones, joints and discs in your back. Not only does this relieve back pain and tension, but it is valuable in injury prevention. There are a lot of “band-aid fixes” for grip strength, such as the use of weight-lifting gloves, straps and hooks. But the one true way to increase your grip strength is to … well, grip a bar! Whilst performing a dead hang, you are holding onto a bar and hanging your body weight off it. Dead hangs are by far the most effective way to increase your grip strength. Having good grip strength benefits your performance across all exercises where good grip is required, for example, pull ups, rows, deadlifts, rack pulls and lever variation exercises. Hanging in this passive position allows your upper body to fully relax with your arms overhead. Every second spent in this position is working on your shoulder joint range of motion and improving your overall shoulder health. Many of us are strength and size orientated. Consequently, mobility/range of motion takes a back seat. Doing this exercise will benefit the range of motion through the shoulder joint capsule, which not only allows you to safely perform overhead movements (overhead squats, snatches and presses), but is key in preventing injury! There have been numerous cases of people recovering from shoulder injuries, aches and pains, specifically through the rotator cuff, by simply performing the dead hang. A medical professional by the name of Dr. Kirsch explains in his book “Shoulder pain, the solution and prevention”, how nature intended movement patterns for our shoulders that we are not currently participating in. This leaves us both weak and injury prone. Through prescribing his shoulder injury patients the dead hang exercise, 90 out of the 92 patients in one study were healed. They would have, otherwise, required surgery. So before spending thousands on physio and other corrective measures, give the dead hang a go. It’s time to ditch the mindless forearm curls and do a few sets of these each week instead. Dead hangs are an excellent way to build both size and strength through your forearms, whilst reeling in other benefits at the same time! Unlike a forearm curl, your forearms are under tension constantly during a dead hang. If you’re able to perfect your dead hang, i.e. do it over a long period of time, forearm gains (and vascularity) will be yours! Something you’ll feel instantly when doing the dead hang is how much stretch is created through your lats. The dead hang provides an excellent static stretch for your lats, amongst other muscles. The lengthening created through your lats whilst holding the dead hang position helps keep these muscles fluid and healthy. This will be reflected in both your push and pull exercises where your lats are responsible for most of the work. Last, but not least – dead hangs are awesome for correcting your posture! Previously touched on in other points above is how dead hangs can strengthen, decompress, loosen, and mobilize your upper body. All four of these factors are major contributors to better posture. Before spending any money on posture correcting gimmicks (there are SO many), just hang in there. Literally. Use a bar at suitable height, preferably a pull up bar. Should you not have access to one, a high racked barbell will work. Stand on a bench/steps to easily reach the bar. Leaping up ferociously to grab the bar is not a good start. Grip the bar just over shoulder width apart with an overhand grip (palms facing away from you). Move your feet off the bench/steps so you are hanging. Keep your arms straight and relax your body to create a passive/dead weight hanging position. Hold for set amount of time. Even though the dead hang is an easy exercise to get right, there are still a few no-no’s and commonly made mistakes. Here are a few tips and things to avoid when performing this exercise to make sure you get the best results from it. Your arms must be DEAD straight, hence “dead hang”. If there is a bend in your elbows, you’re doing it wrong. Don’t keep tension in your lats. You need to fully relax your upper body to allow this exercise to work its magic. This coincides with the first point – if you’re bending your arms, chances are you’re engaging your lats too. Stay still. If you’re fidgeting or your body is swinging about, the dead hang is no longer a dead hang. Dead, got it? Don’t hold your breath. As with any exercise, breathing assists and compliments the movement. Apart from aiding blood flow, concentrated breathing will allow your body to fully relax into the hang. Overdoing it will do more harm than good. You shouldn’t be performing this exercise for as long as you can and as often as you can. It is recommended that you perform the dead hang for 3 or 4 sets at 50% – 75% of your maximum hang time, and up to 3 times per week. I love an exercise that offers progressions and variations, and the dead hang is one of them. Once you have got the “hang” of the standard version, give some of these variations a shot! These are done with your palms facing each other. Do these with your palms facing towards you. Like a standard dead hang but have your thumb over the bar with the rest of your fingers as opposed to under the bar in a standard grip. Use any of the above-mentioned grips, just on gymnastic rings instead of a fixed bar. Hello, stability! The single arm dead hang can be done in all above-mentioned variations. If you have a few questions about the dead hang, hopefully you will find most of the answers below. There are lots of variations of the dead hang and the muscles worked depend on the version of the exercise you do. In terms of the standard dead hang, it primarily strengthens your hand and wrist flexors, your forearm muscles, your shoulders (specifically your rotator cuffs) and your core stabilizers. A dead hang is an exercise that is commonly used to condition and progress people to being able to do a pull up. Why? Because it increases your grip strength as well as your shoulder and core stability. Not only does it increase strength and stability, but it aids mobility. And a lack of mobility is one of the biggest hinderances of strength. By doing it sensibly and consistently. As mentioned in the “don’t do” section above, overdoing it does more harm than good. Practice the dead hang for manageable amounts of time, and a few times per week as opposed to smashing them out until failure at every opportunity. I’m not a fan of questions like this, as in my opinion, it’s totally irrelevant. However, this is one of the “FAQ’s” surrounding dead hangs, and I said I was here to answer them! 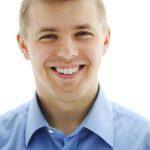 There are many contributing factors to what a good dead hang time for YOU to aim for would be. For example, current strength, height, weight and arm span. A good dead hang time to aim for is more than the time you were able to do last week. Here’s a fun fact for you though: the world record for the longest dead hang time is… wait for it… 1 hour, 12 minutes and 18 seconds. Dead hangs are great from your back! The spinal decompression and lengthening of the upper back muscles that the dead hang provides contribute majorly to back health and injury prevention. Who would have thought that simply hanging around could be so complex and rewarding? If you’re not already doing this exercise, I hope this article has inspired you to add it into your workout regime. 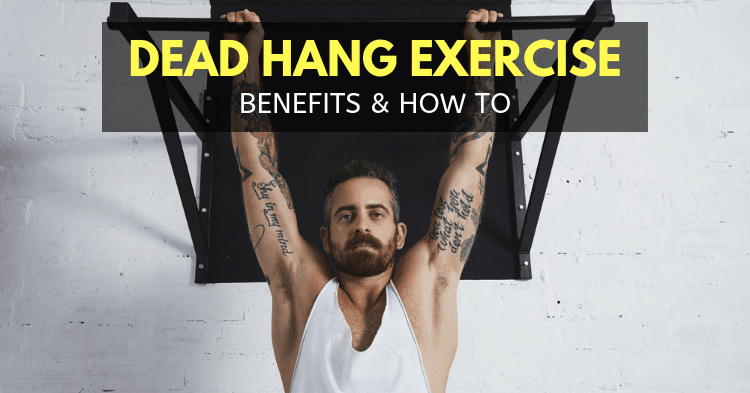 Regardless of your fitness goals or what sport you are involved in, the dead hang will have a positive effect on your performance and functionality. It is the answer to many strength and mobility related questions. And whether you’re a novice to the workout world or a seasoned gym-goer, the dead hang is for you.